Wombat Group Media, 9780988690387, 344pp. Dorotea DeVillardi is ninety-one years old, gorgeous, and worth a fortune. Matt Friedrich's going to steal her. The Nazis seized Dorotea's portrait from her Viennese family, then the Soviets stole it from the Nazis. Now it's in the hands of a Russian oligarch. Dorotea's corporate-CEO grandson played by the legal rules to get her portrait back, but he struck out. 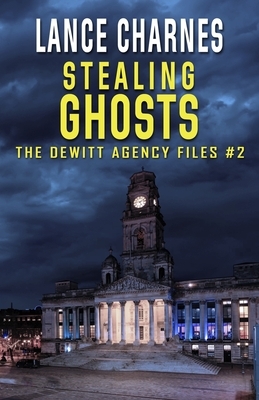 So he's hired the DeWitt Agency to get it for him - and he doesn't care how they do it. Now Matt and Carson, his ex-cop partner, have to steal Dorotea's portrait from a museum so nobody knows it's gone, and somehow launder its history so the client doesn't have to hide it forever. The client's saddled them with a babysitter: Dorotea's granddaughter Julie, who may have designs on Matt as well as the painting. As if this wasn't hard enough, it looks like someone else is gunning for the same museum - and he may know more about Matt and Carson's plans than he should.